ACTO-100 AFM is a Confocal Optical Microscope combined with AFM to do single molecular AFM and Optical Microscopy and Spectroscopy including Raman (TERS) and Fluorescence. ACTO-100 AFM is the most affordable system on the market which combines cost-effective confocal optical microscopy and spectroscopy system with robust AFM. This system is a perfect tool for characterization and study compound semiconductor materials and devices such as Photoluminescence(PL) and refractive index mapping with nanometer resolution. ACTO-100 AFM includes a confocal optical microscope fiber-optically connected to a single mode laser source from one end and to CCD optical spectrometer from another end. This system is equipped with high resolution digital camera and fiber optic illuminator to monitor samples under white light. 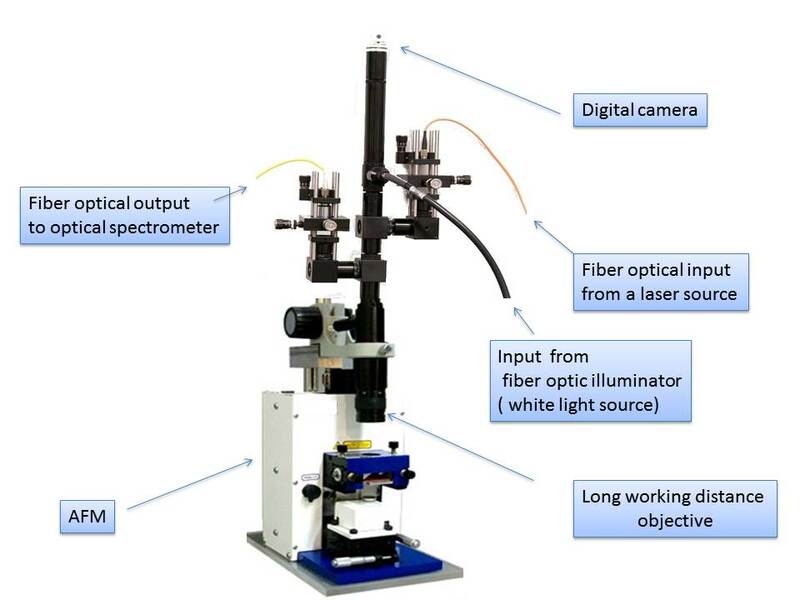 Fiber optical connection with light sources and spectrometers let our customer position lasers and optical detection systems(spectrometers or detectors) on different optical table from AFM. This separation let us minimize noise from the optical system to AFM. ACTO-100 AFM is a complete system which includes everything you need to obtain good quality AFM images with 3nm lateral resolution and better. It includes AFM stage, electronics to control the stage and computer with software to operate AFM. 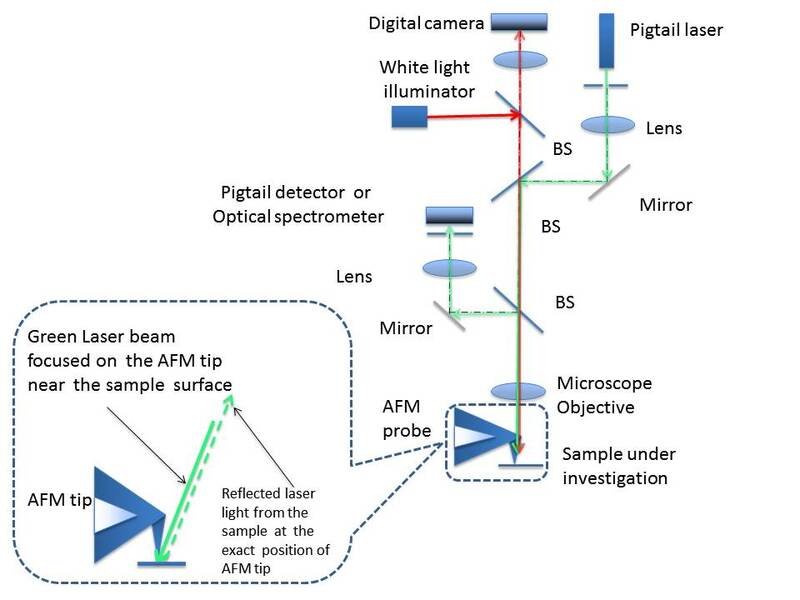 Combining AFM imaging with scanning optical microscopy and spectroscopy (Fluorescence, Photoluminescence, Reflection and Transmission) in real time. Single Molecular Spectroscopy (including Raman and Fluorescence). Tip Enhanced Microscopy and Spectroscopy (including TERS). Photoluminescence (PL) and refractive index mapping of compound semiconductor material and devices with submicron and nanometer lateral resolution. Complete AFM system with better than 3nm lateral resolution. This system produces AFM image with nanometer resolution and optical image with lateral resolution better than 100nm simultaneously.